immigration journey to Chicago, Illinois. 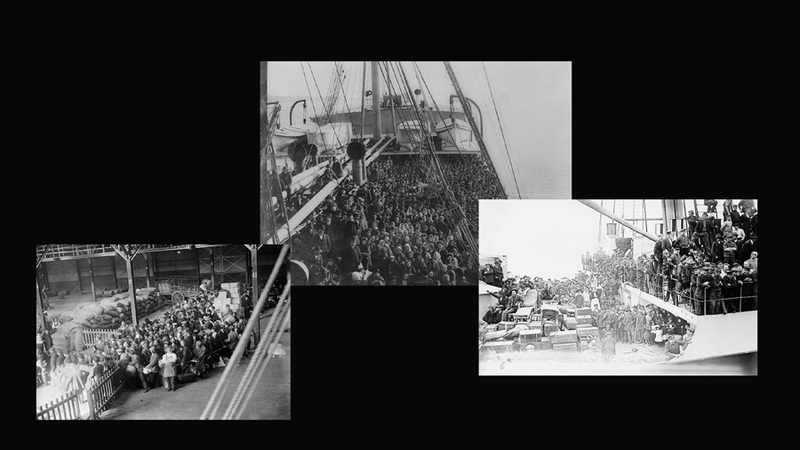 illustrate some of the crowded conditions endured by European immigrants. Built by Palmers Shipbuilding & Iron Company, Newcastle, England, 1902. 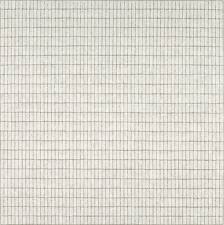 9,291 gross tons; 470 (bp) feet long; 56 feet wide. Steam triple expansion engines, twin screw. Service speed 14 knots. 2,290 passengers (40 first class, 50 second class, 2,200 third class).One funnel, four masts. Built for British Shipowners Limited, British flag, in 1902 and named British Empire. Sold to Navigazione Generale Itlaliana Line, Italian flag, in 1906 and renamed Campania (1901). Mediterranean-New York service. 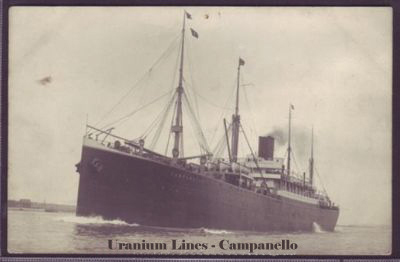 Transferred to Uranium Steamship Company, in 1910 and renamed Campanello. Rotterdam-New York service. Sold to Northwest Transportation Line, British flag, in 1910. Also Rotterdam-New York service. Also sailed for Canadian Northern Line and Uranium Line. Transferred to Cunard Line, British flag, in 1916 and renamed Flavia. 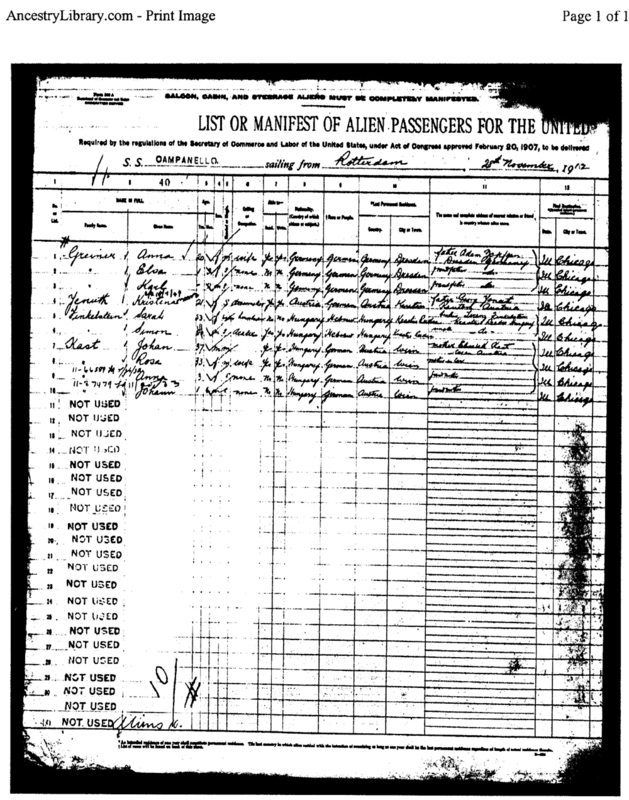 Torpedoed and sunk by a German submarine off Northern Ireland on August 24, 1918.